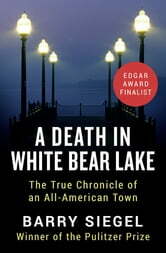 A mother’s search for the son she gave up uncovers terrifying secrets in a Minnesota town in this “masterfully depicted true-crime tale” (Publishers Weekly). In 1962, Jerry Sherwood gave up her newborn son, Dennis, for adoption. Twenty years later, she set out to find him—only to discover he had died before his fourth birthday. The immediate cause was peritonitis, but the coroner had never decided the mode of death, writing “deferred” rather than indicate accident, natural causes, or homicide. This he did even though the autopsy photos showed Dennis covered from head to toe in ugly bruises, his clenched fists and twisted facial expression suggesting he had died writhing in pain. Harold and Lois Jurgens, a middle-class, churchgoing couple in picturesque White Bear Lake, Minnesota, had adopted Dennis and five other foster children. To all appearances, they were a normal midwestern family, but Jerry suspected that something sinister had happened in the Jurgens household. She demanded to know the truth about her son’s death. Why did authorities dismiss evidence that marked Dennis as an endangered child? Could Lois Jurgens’s brother, a local police lieutenant, have interfered in the investigation? And most disturbing of all, why had so many people who’d witnessed Lois’s brutal treatment of her children stay silent for so long? Determined to find answers, local detectives and prosecutors rebuilt the case brick by brick, finally exposing the shocking truth behind a nightmare in suburbia. 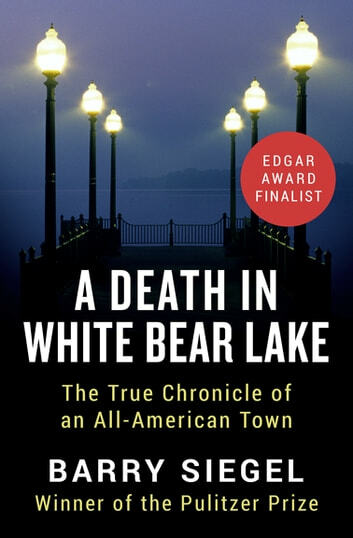 A finalist for the Edgar Award, A Death in White Bear Lake is “a distinguished entry in the annals of crime documentary,” and a vivid portrait of the all-American town that harbored a sadistic killer (The Washington Post). A well researched and well written account of a great tradgey. It also shows how far we have come, and the need to speak up. Enjoyed this book so much! Being a true story it was very compelling. Very glad that the Laws were finally changed for abused children even though there still are many cases that remain unsolved.